Say “G’day” and promote your event with style! 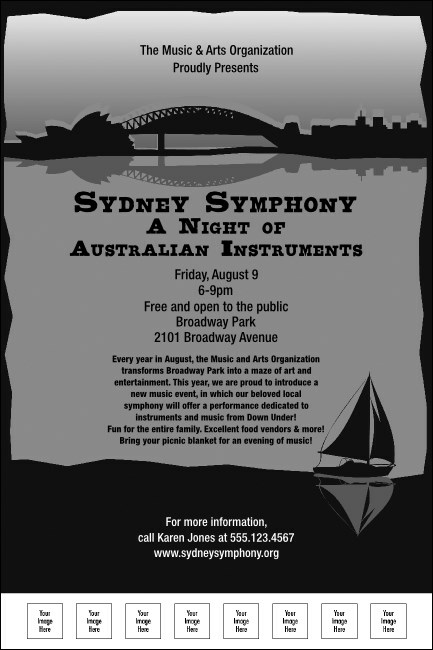 The black and white Sydney Poster is an affordable and creative way to greet your guests with the details of your concert, party or fundraiser. With room for eight custom images, the poster boasts a view of Port Jackson and the Harbour Bridge. For more affordable options, check out the matching black and white event kit through TicketPrinting.com.